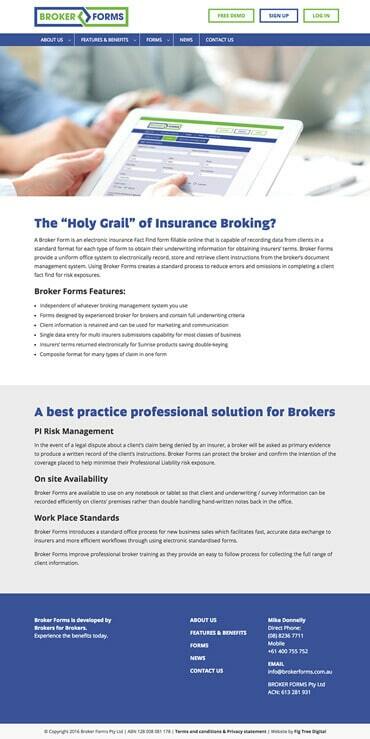 Broker Forms is a best-practice, professional, back-end solution for insurance brokers. 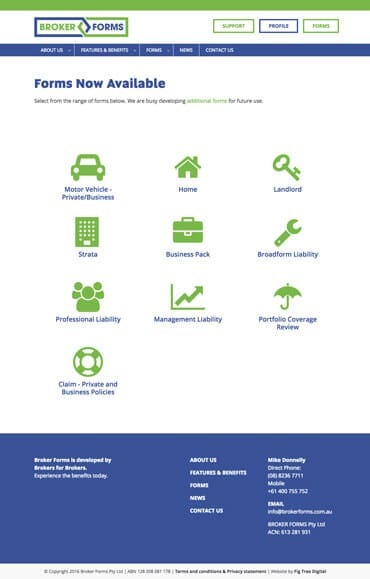 Mike Donnelly, a South Australian insurance broker with more than 40 years’ industry experience, created the Broker Forms concept to deliver standardised templates that ensure improved risk management and are easy-to-use from mobile devices when working on-the-go. 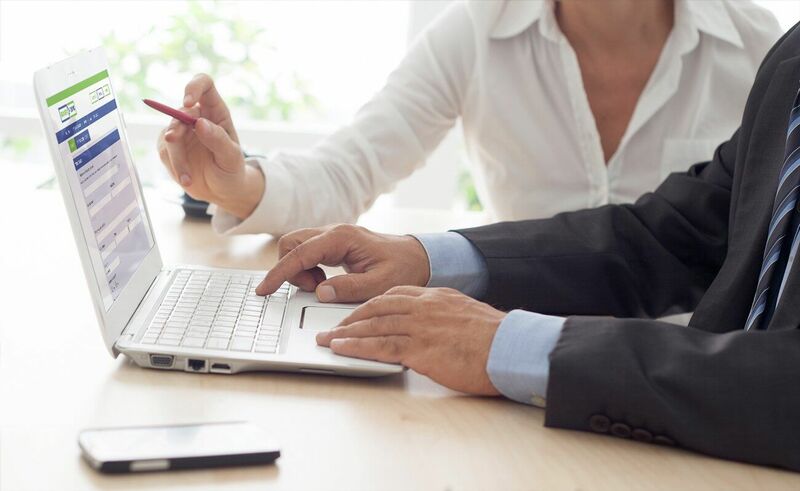 Broker Forms’ effective online administration system will assist insurance brokers across Australia and beyond. Fig Tree Digital made effective use of Mike Donnelly’s wealth of experience and passion to create an innovative and user-friendly new platform. Together we designed, developed and launched a 57-page mobile-responsive website with 10 custom-built, dynamic and interactive forms that are compatible with mobile and tablet devices. Further benefits include time saving features such as the ability to reuse stored forms, eliminating multi-keying. Project work also included extensive database development and search engine optimisation, as well as scripting and creation of an animated video promoting the unique benefits of the platform. The final product, which Mike has dubbed the ‘holy grail’ of insurance broking, will empower brokers to better manage risk, achieve best practice and save time, even while working on-the-go. This highly effective administrative solution will enhance the professionalism of the broker sector, growing businesses and easing the toil of day-to-day administrative tasks.